Elmo table group features aggressively curved legs, waterfall edge on tops, and solid wood design. 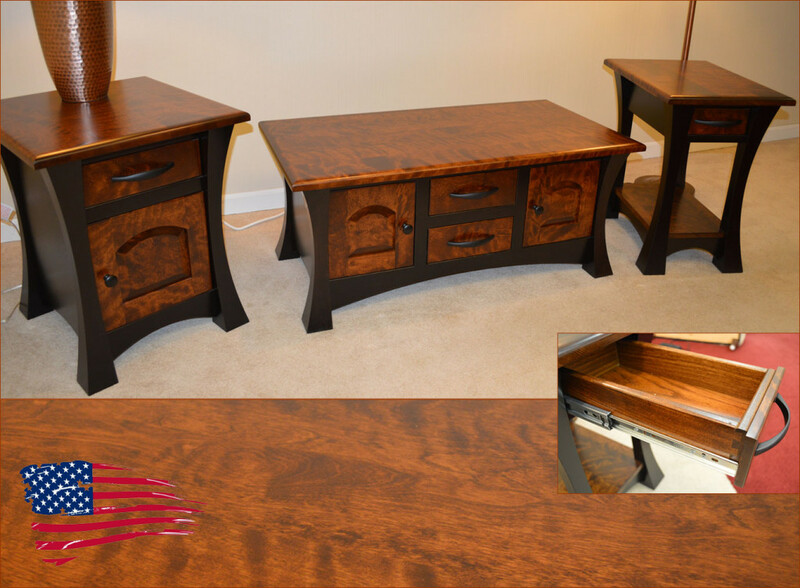 Tables feature rare flame birch for the tops, drawers, and doors for an eye popping appeal. All drawers come standard with full extension glides for a lifetime of enjoyment. 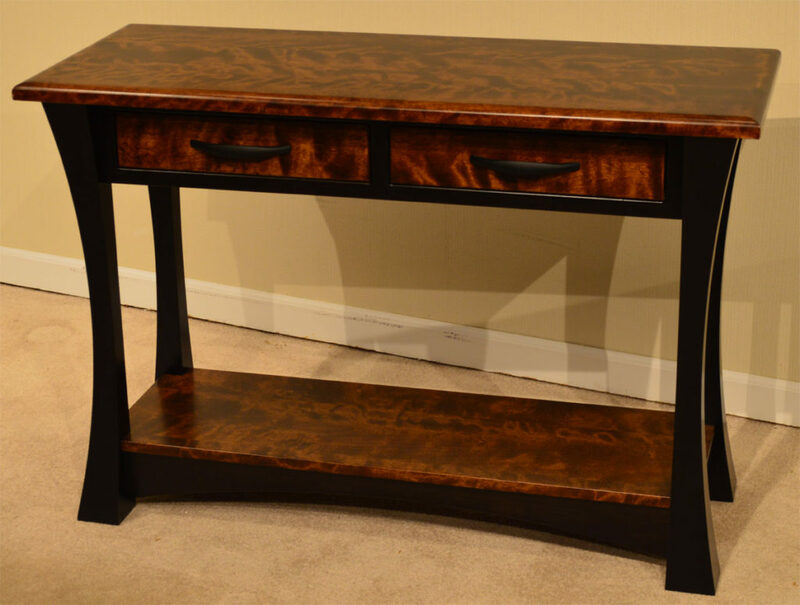 The tables can also be ordered in custom sizing of your choice, several wood species, and in any stain or hardware to make it your unique look! Made in USA.